One of the essential parts of any academic paper is a valid thesis statement. Having one is not enough as you need to support it with strong arguments. Sometimes, a professor will not explicitly require of you to write a thesis statement, but it is always implied so it should never be left out. Before you can write a comprehensive thesis statement, you must know what defines a thesis statement, what makes a thesis statement valid and what is the precise reason for including a thesis statement in your paper. We will tell you the answers to all those questions, and the answers will be supported by clear thesis statement examples. Next, you will learn how to avoid most common mistakes associated with writing a thesis statement as well as get all other relevant information. A thesis statement is not a very long, commonly no longer than one sentence, claim that you need to present after the introduction of your paper’s topic. It serves as a starting point of your paper as well as a sort of blueprint for it. It is meant to clearly define your stance regarding the matter at hand with the prompt of concise arguments you will be making further and convey a general idea of your paper to its reader. This sometimes seems like an impossible task as one sentence can hardly summarize your whole paper. This is because you are most likely looking at it backward. A thesis statement does not need to be written first, and furthermore, you can always change it. You should change it if your paper has evolved to the point that the previously written thesis statement does not do it justice. Remember, it is easier to make your thesis statement correspond with your paper than to make your paper correspond with your thesis statement. This is one of the good thesis statement examples because it makes your stance very clear. You are absolutely in favor of swimming. But, that is not enough for a powerful thesis statement, though. You cannot just write: “Swimming is healthy” because it would be overly general. Be as precise as possible; that is why you need to define when it is healthy to swim, for whom and for what reason. Stating the obvious is a mistake when writing a thesis statement as you need to provide the reader with additional information. You need to do this because you want the reader to stay interested in your paper and to keep on reading it. If you merely state something they already know they will agree with you, but they will not keep on reading. When writing a thesis statement, your goal is not to make everyone agree with you, and it is not to present indisputable truths. Your point of view and your thesis statement should be debatable and challengeable. One more thing that you must always bear in mind is that a good thesis statement is highly specific. You need to try and be as precise as you can when writing a thesis statement. Avoid unspecific and cryptic terms such as “wrong,” “good,” “nice.” Always define the terms you are using as that will make your thesis statement so much stronger. This is a weak thesis statement example as it is not specific and does not define the terms used. Everybody knows that exercising is important, so why should they bother to continue reading? What are you trying to say? What is exercising precisely? You need to be precise and define the terms more closely. This is one of a strong thesis statement examples for research papers as it says what kind of exercises are good, why, and for whom. It has more information regarding your conclusion, and it makes the reader interested in learning more about the matter at hand. What makes good thesis statement examples for essays? Answering this question is tricky as thesis statement examples for essays will depend on the type of paper you are writing. For example, an informative essay will have a different thesis statement from an argumentative, persuasive or some other kind of essay. If you are writing a thesis statement for an informative essay, it should include a concise overview of the information and arguments which you will be presenting in your paper. This is a good example of a strong thesis statement for an informative essay. Most thesis statements should follow the so-called “rule of three.” You should either provide three relevant pieces of information (for an informative essay) or give three good reasons why your opinion is valid (for an argumentative essay). This is another example of a good thesis statement for an informative essay. If you just said: “Pollution negatively impacts the quality of life” that would be not precise enough and would not give more information to the reader as to what they can expect of you to discuss further in the paper. Pollution has a very wide range of negative consequences, and you cannot possibly cover all of them. That is why you need to precisely define which ones you plan to cover. When writing a thesis statement for a persuasive essay, you need to decide on a stance and give arguments for why your opinion is a correct one. If you want to argue that “childhood vaccinations are mandatory” you cannot end your thesis statement with “because it can have a negative impact.” You need to include specific reasons and arguments for your stance, make it debatable and in doing so make the reader interested in learning more. This is a good persuasive thesis statement as it defines your opinion clearly and provides arguments for it. The “rule of three” is something you need to remember as it is especially useful when writing a high school or middle school essay as it allows for each paragraph to focus on each of your arguments due to the five-paragraph form. University level papers are more complex and you cannot write them in five paragraphs, so the thesis statement must be modified to correspond with the length, form, and style of university level papers. That is why it is possible to focus on just one point and argue that one point thought your whole paper. 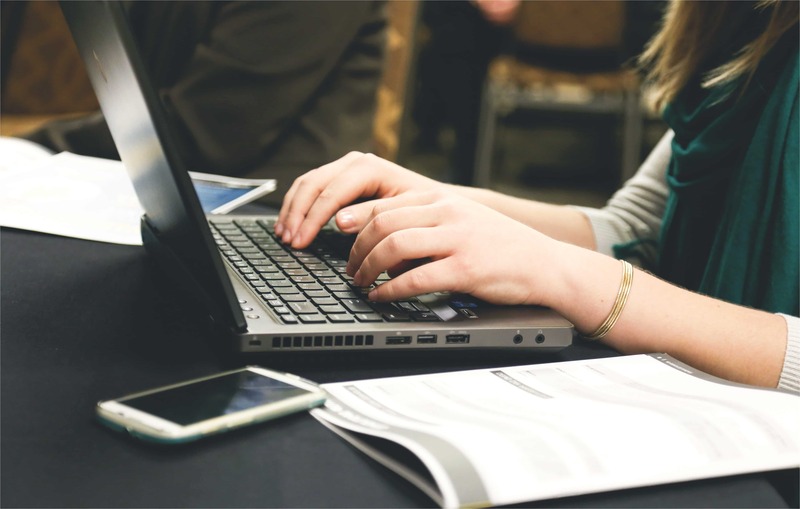 If you are writing a research paper, you should not focus on more than three variables, you should keep your thesis statement highly precise and always provide data for each claim you make. Research papers leave no room for vagueness as scientific writing follows strict rules so that there can be no alternative interpretations of it. This is a good research paper thesis statement, as it is precise, shows what the paper is about and what the stance of the researcher is. Another reason why this is an excellent research statement is because it provides the researcher with a structure for research and the groundwork for acquiring relevant data. You should be interested in your topic of choice, but it also must be interesting to those who will be reading your paper. Always make an outline and do as much research as necessary. Don’t use “can,” “should,” “may,” or “might” as it signals uncertainty and leaves room for the opposite to be true. Don’t choose undebatable and undisputable claims. No point in writing a paper about something that everybody knows is true. If you are unsure whether your thesis statement is strong, always check other statements as a point of reference. Always stay precise, convey your stance clearly and leave room for debate.